Cat Exercise - How often should I play with my cat? 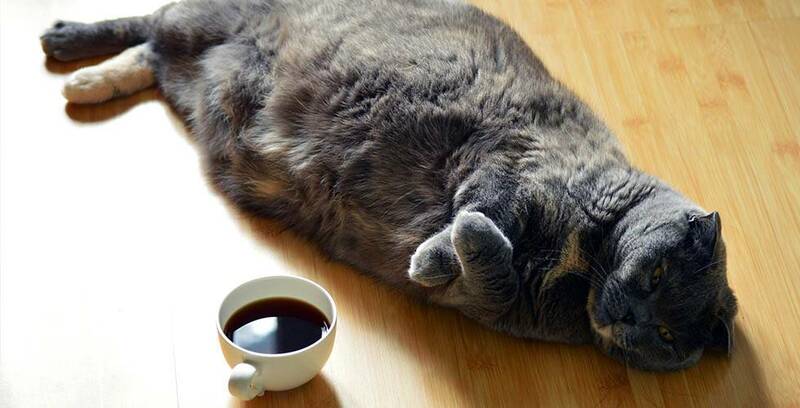 Cats may have a high metabolism that is the envy of their human servants, but even they need to exercise occasionally. Your fur baby should be able to get all the cat exercise it needs through play - hooray! 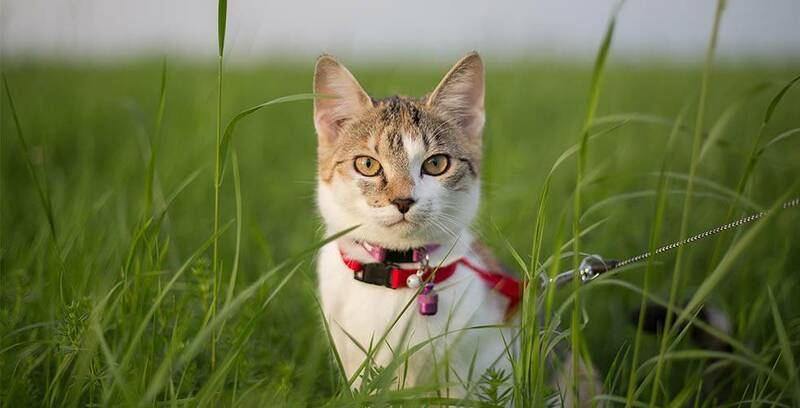 Regular play will keep your cat fit, happy and will strengthen the cat-human connection. We also reckon playing with your kitty will give you the warm fuzzies, which is all the reward any cat lover needs. How often should I play with my cat? The RSPCA suggests 10 to 15 minutes per day minimum while Dr Letrisa Miller, writing for Vet101, suggests 30 minutes. However, there is a much easier answer: ask your cat! First, get its attention and start playing (using one of the handy tips below). Then, wait for your cat to lie down, or lose interest. That’s it! Your cat has decided enough is enough, and your master’s judgment, in all matters, is final. The amount of exercise your cat wants will depend on its age, weight and energy levels. Different breeds may be more or less ready to play - Russian Blues and Abyssinians can’t get enough of it; while British Shorthairs might cut the fun short. Whatever the case, take the hint when it’s given, or risk a sulky kitty. How do I play with my cat? First things first, just like their humans, each cat’s taste is different. Beatles or Stones? Your cat might play with either, neither, or both. It should be pretty easy to tell what interests your furry friend, they’re unlikely to ever try and humour you. Which cat toys are best for my cat? Toys that tap into kitty’s hunting instincts will provoke a response in even the most docile feline. We recommend trying a wand toy or a mouse toy (battery powered, or on a string). Get their attention first, and then entice them into swiping - before you know it they will get carried away in the chase! 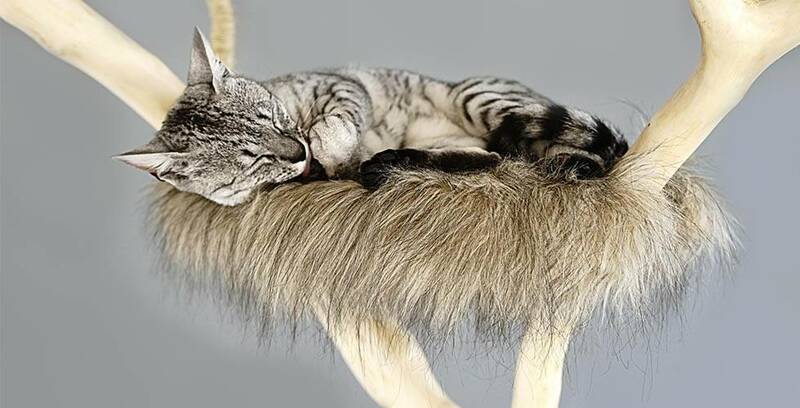 Unlike dogs, cats tend to get used to familiar objects, and will get tired of playing with the same toys over and over. We suggest keeping things fresh by rotating toys in and out of hiding. A new toy every now and then certainly won’t hurt either, just make sure any toys you buy are safe for your little friend. Playtime should be fun, not dangerous! Does my cat need scratching posts? Your cat needs to scratch to stay limber and to keep its claws in good order. If you don’t want your favourite sofa turning into a favourite pile of scraps, we suggest buying a scratching post or two. Place the scratching post in an area your cat spends a lot of time in, and encourage scratching with treats. Most kitties will cooperate soon enough. Do cats need vertical space? Many breeds (the Bengal and Devon Rex, for example) love to jump, climb and lounge in high spaces. And, while the easiest place to get this kind of cardio is outdoors, letting your cat outside exposes it to numerous dangers that have led many organisations, including the RSPCA, to recommend keeping kitty indoors. If your cat yearns for fresh air, we suggest buying an outdoor cat enclosure where it can climb and play in safety. Fill the enclosure with plenty of toys, and hidden treats, and kitty won’t want to leave. If getting an enclosure is not possible, you can still provide plenty of vertical space inside with premade kitty jungle gyms, or improvised solutions. Providing indoor vertical space will ease the transition for an outdoor cat by making your home feel a lot more spacious. Can I walk my cat? If you start nice and early, you can train most breeds for leash-walking. Be sure to use a figure 8 harness as clipping a lead straight to your cat’s collar is a good way to see how great of an escape artist it is. Reinforce positive steps with treats - putting on the harness, accepting the leash, stepping outside. With some perseverance, this can be a great way to satisfy their natural curiosity. But note that some, older cats may just be too stubborn. Can I make my own cat toys? Remember what we said about taste? You might be surprised to find that your cat neglects all of their beautifully designed play equipment to dive headfirst into an empty cereal box. There’s not much you can do about this, other than sit back, laugh, and then film the whole thing for us to watch. However, this natural curiosity also means that you can play with your cat in some pretty unconventional ways. Stuff some newspaper in an old sock and watch them go. It might be a hit, or a dud, but it’s fun to experiment either way. And, if you didn’t know, cats love laser pointers and flashlights and are sure to investigate if you break these ‘toys’ out. Does my cat need a fur sibling? If you find yourself out of the house very often, with little time to give your cat enough play, we recommend buying or adopting a second feline of a similar age and temperament. While it may seem like taking on extra responsibility, a pair of cats that bond will keep each other entertained in the absence (and in the presence) of human company. If you can, buying or adopting the cats at the same time will help them become fast friends. Take a look through our breed profiles to find out which breeds get along best. Most breeds will also get along with dogs of a similar temperament, and some even take to other animals like large birds and ferrets. Gentle kids can also be great play companions, although we do not suggest having children for the sole purpose of playing with your cat - we admire your dedication, but there are easier options out there. Finally - keep trying! The more your cat exercises and plays, the more energetic it will get. Kitty fitness isn’t so different from ours. If you’re looking for a selection of some of our favourite toys, click here. Have fun!